Cindy still actively works in her very successful independent style consultancy, Style with Cindy. She is out in the trenches consulting with private clients every week, holds workshops, styles and runs fashion runways and as head stylist she guides her team of stylists everyday. This ensures you get relevant, proven strategies and techniques that work in the real world. 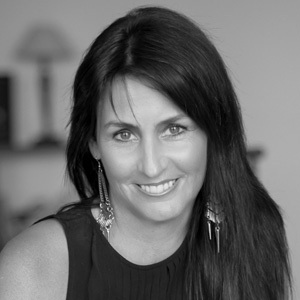 Cindy is the creator and presenter of Style Review runway, a Chadstone – The Fashion Capital’s ‘A’ list stylist, she is a published author of the book “You Are More Than Just Your Bits” which helps people through their style challenges and the emotional issues that surround our appearance. She is also a keynote speaker, styles celebrities, numerous media appearances and has trained and mentored hundreds of successful stylists. Early in her career Cindy trained and worked with style and image professionals around the world, has studied and is certified with two different colour systems and is an NLP Master Practitioner. PSA was launched in 2012, prompted by an industry that was becoming saturated with self-accredited, unprepared and inexperienced stylists. The growing feedback Cindy received from store managers and sales staff about the increase of new stylists with poor skills was the driving force behind Cindy offering to impart all of her knowledge to help change this. It is her vision that with this academy, she wants to teach and inspire the next generation of stylists worldwide to ensure the integrity and growth of the industry and most importantly to ensure the delivery of this very beneficial and life changing service to the general public is at the highest level.